A month went by. So much for my thrice weekly posts. I have realized that I’m not as disciplined as I’d like, which isn’t always great. Getting back on that train. But I’ve also realized that I am focusing on the kids and not sweating the small stuff. So on that note, I am happy to report that we are really low on tics, high on joy, and loving summer. Longer post soon. Thinking of you all. PS: In the past 30 days I’m pretty sure Stink has grown a foot – and we’re not talking just his hair. 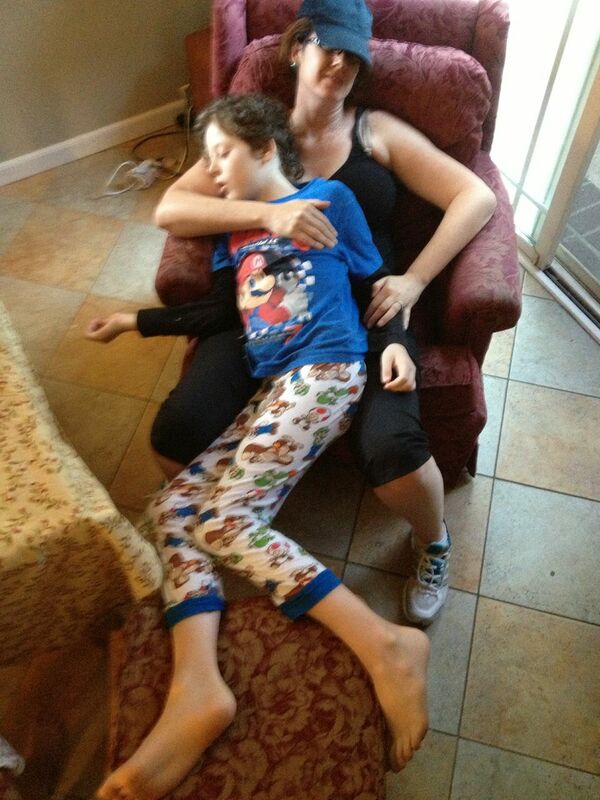 Despite being a tween with zits and a lot more maturity, he still was able to fall asleep on his mother. Yeah, I documented it. So what.